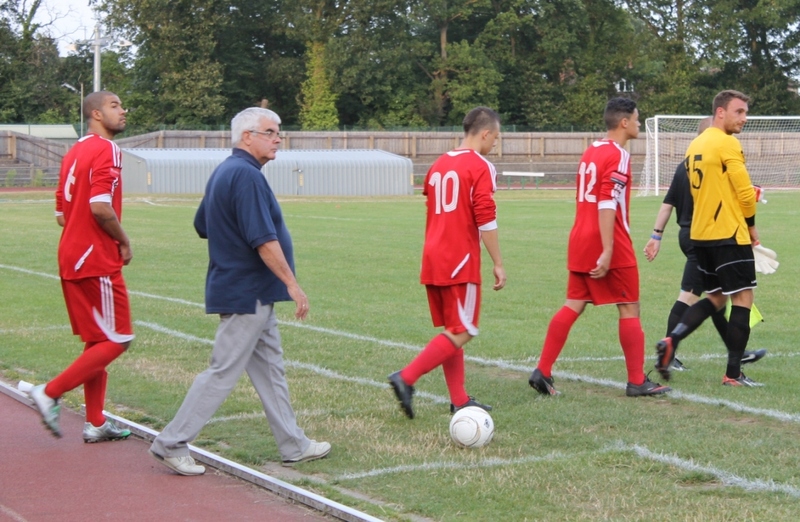 Three seasons earlier, as one of the experienced Staines Town players, Neil had first been approached about taking on coaching duties. Admitting he’d not really sort out such a post, Neil described his fortune “I sort of fell into the role”. Whilst he inherited the group of players, Neil told me he “really wanted to push the club forward”. At the time Staines sat mid-table, one division below the Conference. Such investment however was not made available and so, seven months later – in a “thanks-but-no-thanks” parting – Neil walked away. Taking this experience on board, 18 months on Price entered Stompond Lane far better equipped to deal with the rigours of management. 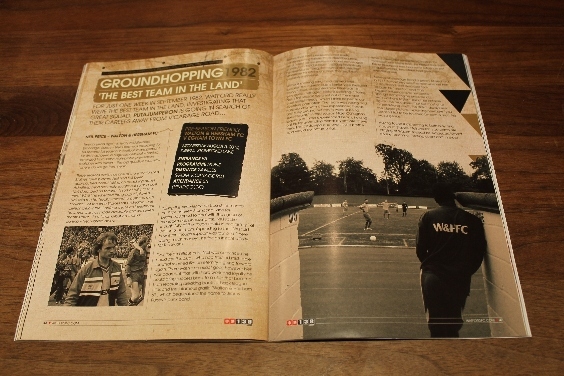 Discussing this Neil spoke thoughtfully of the “huge tradition and history” at Walton & Hersham. Expanding further Neil told how even though support was low and “there wasn’t much money”, he felt an instant affinity for The Swans. Ever the ambitious one, Neil was convinced he could get this club – who had finished mid-table for what seemed like an eternity – going forward again. There wasn’t a exact goal however, Neil was adamant that with hard work and loyalty he could bring success back to a club that boasted both, recording breaking back-to-back league titles and the infamous graffiti “Walton & Hersham 69”, which bequeathed the name to Jimmy Pursey’s punk band. Before that 1993 pre-season, not even contemplating failure, Price described how he’d “used all my professional and non league contacts to build a team”, affably revealingly he resorted to “beg, borrowing and stealing”. Whatever his efforts entailed, the result was certainly impressive. 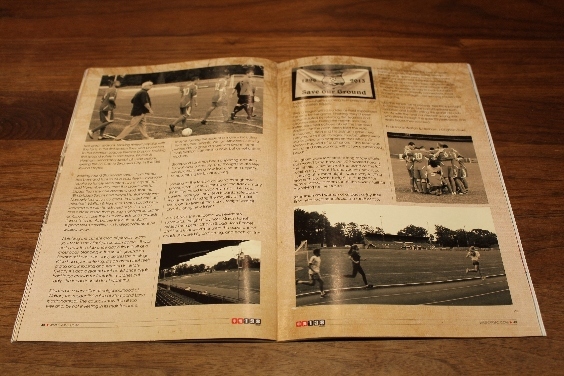 Without knowing what had inspired their success, the current club’s Senior Vice President, Mervyn Rees, recounted how Price was “a very good manager” before detailing, “During Neil’s first season we went out of the major cups straightaway, which I think helped in our eventual promotion. The team was young and hardworking, with a few experienced heads, and they ground out results without being spectacular.” In that season Nigel Callaghan was one of those experienced heads, helping out his long-standing friend; a year later Steve Terry, Francis Joseph and even Neil’s brother Josh would be instrumental. When I asked Neil where his inclination for management came from, he hinted that Sam Ellis at Blackpool had had some influence but unquestionably, two others had given him everything else. Having found it distracting to both play and coach at Staines, Neil wouldn’t contemplate playing at Walton. Instead he exhausted himself on the touchline, “kicking every ball” in those two great seasons. 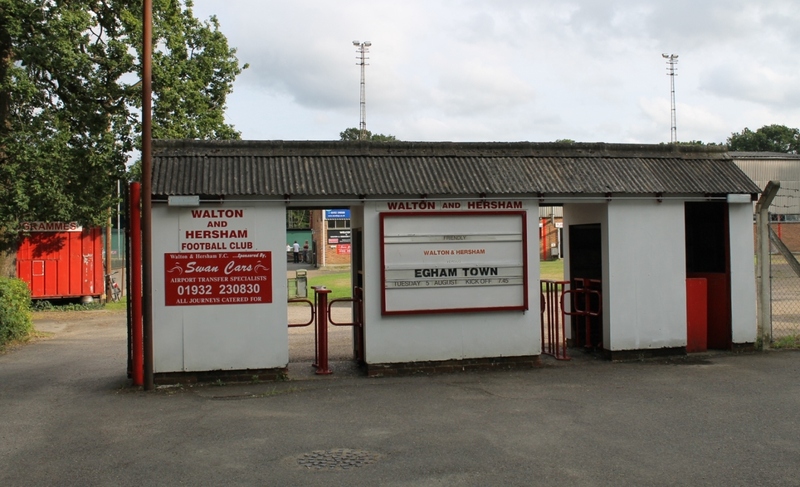 Making himself popular with the fans, in the first season they won promotion to the Isthmian League Premier Division; finishing the second safely in mid-table, Walton & Hersham remarkably swept all aside before exiting the FA Cup to Swansea City, in the 1st Round Proper. Walking round Stompond Lane – from former ball boys and fans to club volunteers – everyone I spoke to fondly recounted two things of that cold November day; that the crowd was far bigger than the one declared and, that the (Elmbridge) Swans had played fantastically well. 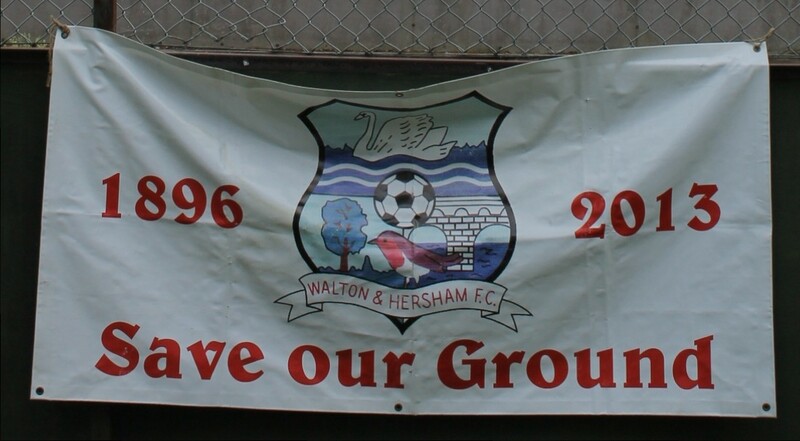 Narrowly losing to two goals “in the first and last minutes”, Walton & Hersham’s small squad were knocked out with heads held high. As his star rose further, inside their young manager so did his ambition to take the club onwards and upwards. It wasn’t to be. As befor,e the club couldn’t support Neil’s ambition, so in disappointment he walked away. Watching the current crop of players’ warm-up – for this their final pre-season game – it was eerie how the club once again finds itself at a crossroads. Standing in the sports ground on Stompond Lane one easily senses the feelings Price had upon entering. It’s an arena that feels grand and imposing and steeped in history. Clearly it’s also a ground that could once again hold large crowds for fantastic matches but sadly, the local council don’t want this. Situated in a very affluent neighbourhood of Walton; the residential value of Stompond Lane is astronomical. 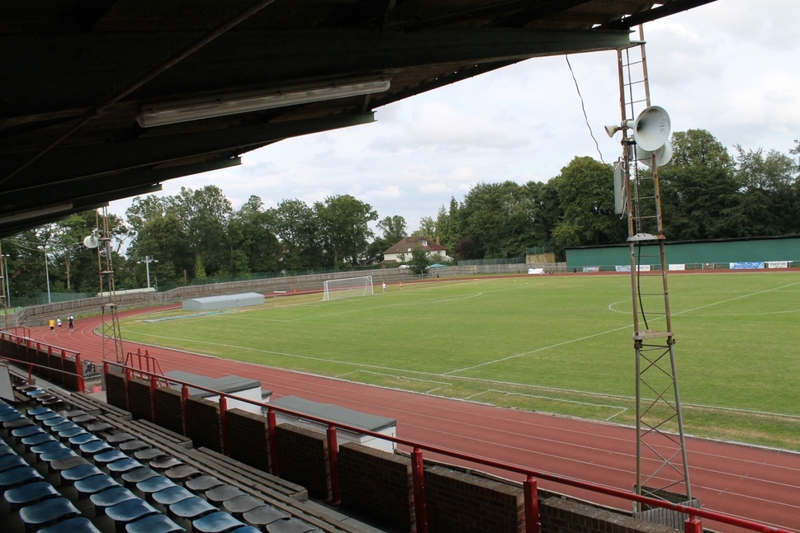 The council know this all too well and, by not investing in its maintenance, they’re forcing the issue of a move – including that of other tenants, Walton Athletics Club – to waterside, to ground share with Swans local rivals Walton Casuals in a new, but as yet unbuilt, stadium. Stompond Lane has been a sporting institution for well over a century, and though the athletes would clearly like a new track, no one appears to be jumping for joy at leaving. 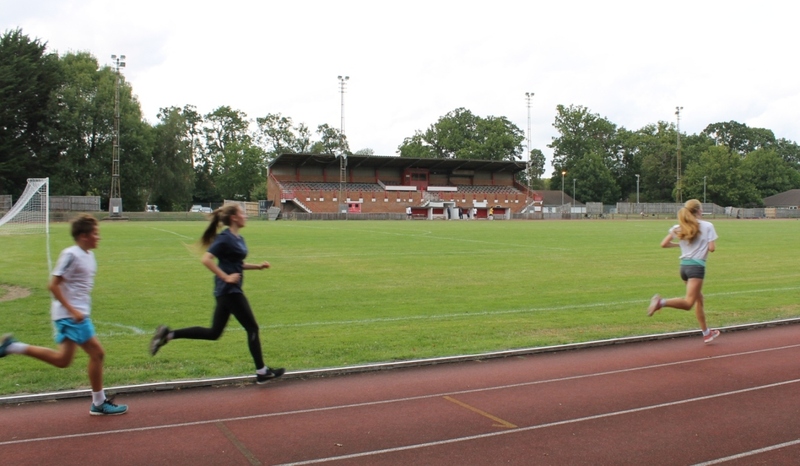 Looking at the footballers going through their paces – past runners training on the track – many similarities raced through my mind. Like Price, current manager Tony Reid is passionate about their success. Sending the majority of the first team off “to train at the park”, tonight was all about trialling new talent. In a 1-0 win, the outcome was evidently successful. Tonight Gary Ross, Marvin Farrell, Ashley Thompson, Charlie Stagg, Josh Bonnett and Louis Glace-Palmer were the experienced heads. All were big and strong, and each knitted together youngsters looking to impress both staff and supporters equally. 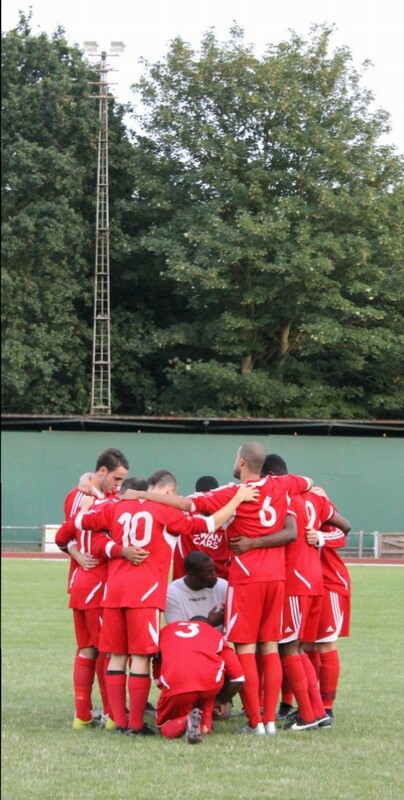 They’d begun with a huddle, as Reid expounded the aims for the game. Finishing, they’d been congratulated by returning first teamers and coaches alike. During the match, shouted instructions had echoed about the tree-lined stadium; on the pitch, pride filled the void. Throughout, Reid and his assistants gave clear instructions to their charges; as substitutions were made praise was heaped on their efforts. As Mervyn had said of another era “The team was young and hardworking, with a few experienced heads”. As Egham were restricted to long range efforts, Ross wasn’t busy, however LGP worked hard in the middle whilst, Bonnett impressed on the left. Looking only about fifteen, one youthful new face – playing at number 8 – was a very exciting prospect too. Whilst tonight I’d struggled for names without a team sheet; The Swans faithful are striving for their future. Sportsmen and women of all ages enjoy their time here, local schools use the facilities too but, Stompond Lane isn’t in the best of health. Pointing opposite the main stand, Mervyn told me he’d “spent many happy days under there in my youth” but, now the wonderful covered terrace has now been boarded up by the council. Surviving on small crowds is still a struggle, especially as only its loyal volunteers – filled with pride of family connections, local ancestry and nostalgia – are working to keep this club going. Like the tenets “all or nothing” Neil Price brought to Stompond Lane, one can still witness such ambition and loyalty willing this grand old club on. As with the “well connected” young man who strode through the gate twenty years back, one really hopes they succeed. 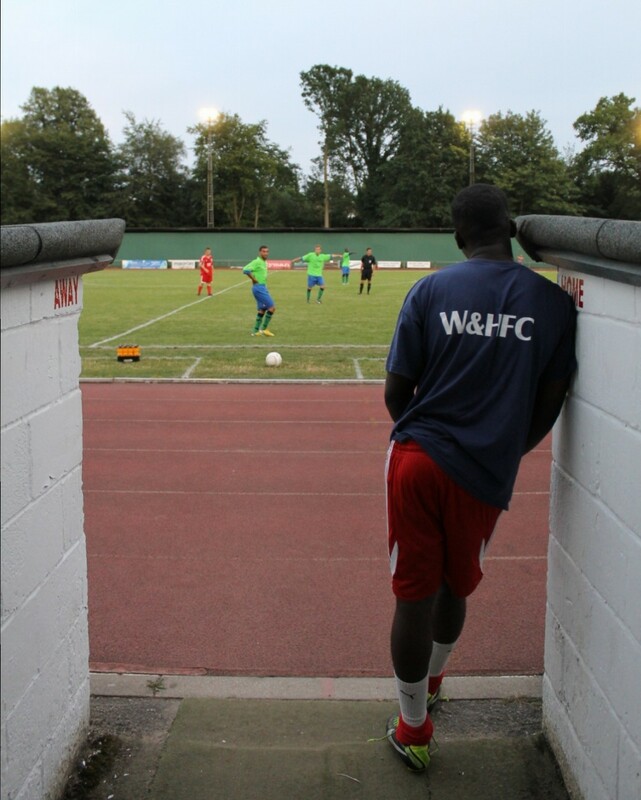 This entry was posted in #WFC1982, 2014-2015, pre-season friendly and tagged #WFC1982, Egham Town FC, Neil Price, Nigel Callaghan, pre-season friendly, Staines Town FC, Steve Terry, Stompond Lane, Walton & Hersham FC. Bookmark the permalink.